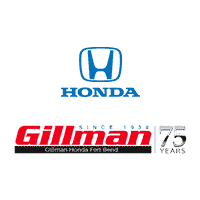 Gillman Honda Fort Bend invites you to visit our fantastic new & used car dealership near Houston, TX. Our knowledgeable team members are ready to provide you with great Honda sales, service, parts, and accessories in the Houston area. As a long-standing pillar of the Houston, Katy, and Rosenberg communities, Gillman has more than seven decades of history in the automotive business. During this time we’ve developed a wealth of knowledge about everything Honda – from the models to quality auto parts and service. Trust Gillman Honda Fort Bend with all of your automotive needs. We are conveniently located about 30 miles from Houston, Katy, Sugar Land, Fort Bend, TX, and Richmond, TX. Contact us today at (832)361-3804, or use our contact us form. Come visit us at 26029 Southwest Fwy, Rosenberg, TX. You can take a test drive, visit with our friendly staff and get answers to your automotive questions. We’re here to help you, so stop in today!